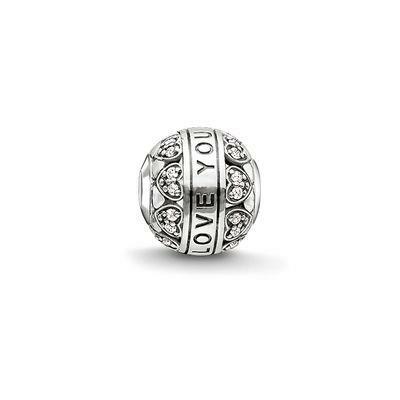 The beautiful Karma Bead by Thomas Sabo is crafted from blackened 925 Sterling Silver and engraved with the romantic declaration "I Love You". The bead features sparkling love hearts set with Cubic Zirconia. With its subtle sparkle, this fabulous Karma bead will be a stand-out on your Karma bracelet.